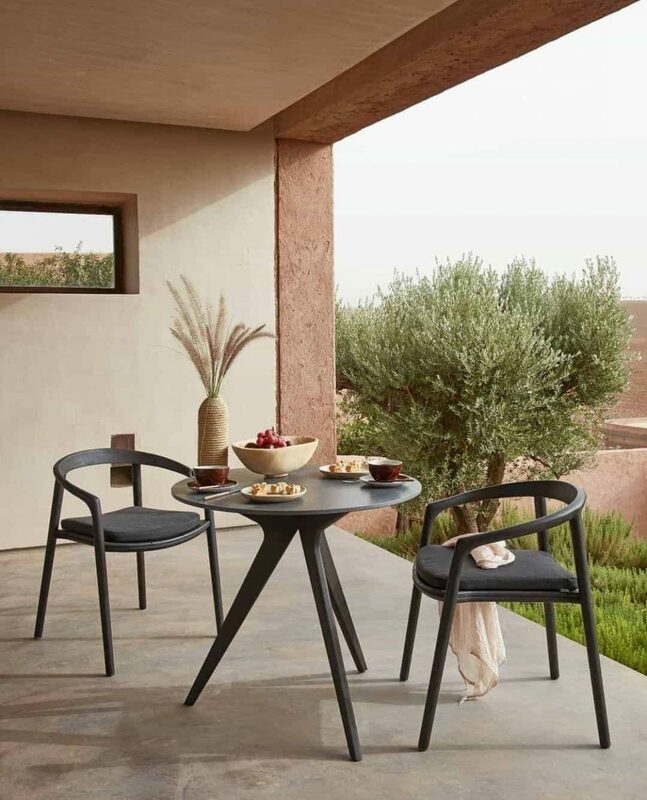 Breakfast in Marrakech with a touch of luxury thanks to the black teak. 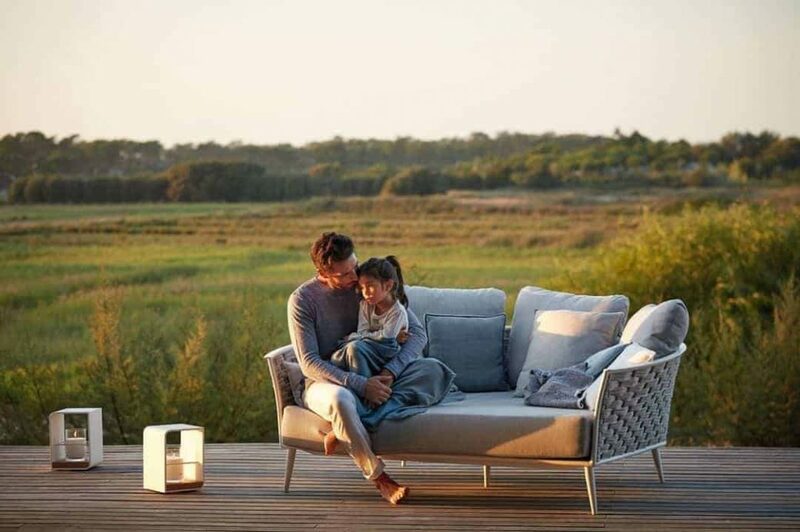 Enjoy your outdoor space during the seasons and do not miss out on the beauty of the changing colors of nature. 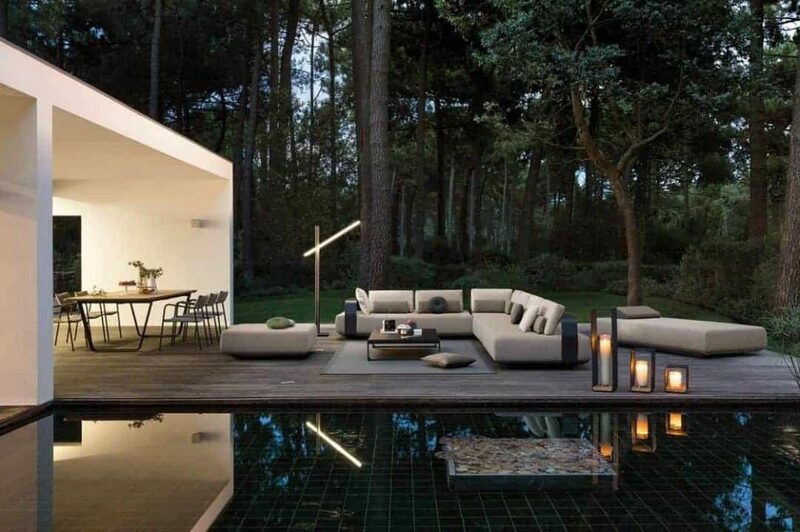 Are you looking for a certain feeling of sophistication and luxury in your outdoor space? With some black pieces you will add the right amount of elegance, drama and power. 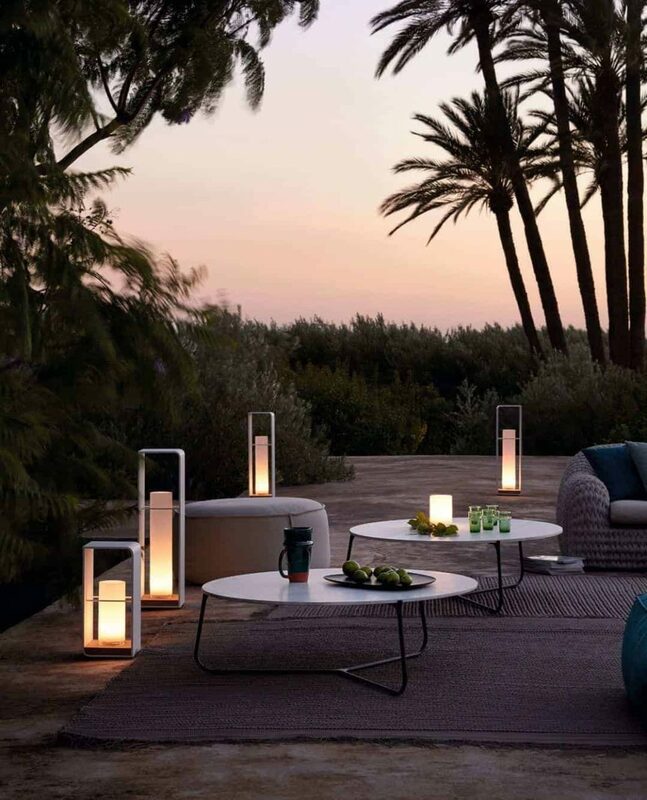 A few lights on your terrace. They're subtle but strong enough to provide a warm glow. The Cascade daybed offers you plenty of room to snuggle up with your family.